Valhalla, N.Y., October 7, 2011 – FUJIFILM North America Corporation said today that the all new premium compact FUJIFILM X10 digital camera first announced on September 1, 2011, will have a retail price of $599.95 and will be available in early November. Building on the tremendous success of the sophisticated FUJIFILM X100 digital camera, the new premium compact FUJIFILM X10 is the latest addition to the growing FUJIFILM X-series of advanced digital cameras. The FUJIFILM X10 features a new larger 2/3″ 12 megapixel EXR CMOS sensor and a bright high-definition FUJINON1 F2.0 wide-angle to F2.8 telephoto 4x manual zoom lens (28-112mm)2 that produces superb image quality from edge to edge. 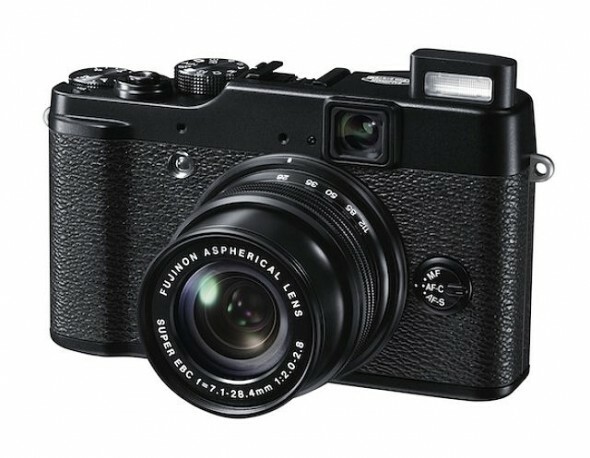 The FUJIFILM X10 has a beautiful blackout and retro design that includes a traditional optical viewfinder with a wide 20° field of view for exceptional image composition. For more information, go to http://fujifilm-x.com/x10/en/. The FUJIFILM X10 will be on display and available for all to see at the upcoming PhotoPlus Expo at the Jacob K. Javits Convention Center in New York City on October 27 through Saturday October 29.